Kaye Posture Control Four Wheel Walker For Pre Adolescent allows users to roll the walker forward as they shift their own weight forward. It helps improve cadence, velocity, energy use and step and stride length in children who have myelodysplasia, osteogenesis imperfecta or other musculoskeletal impairments. 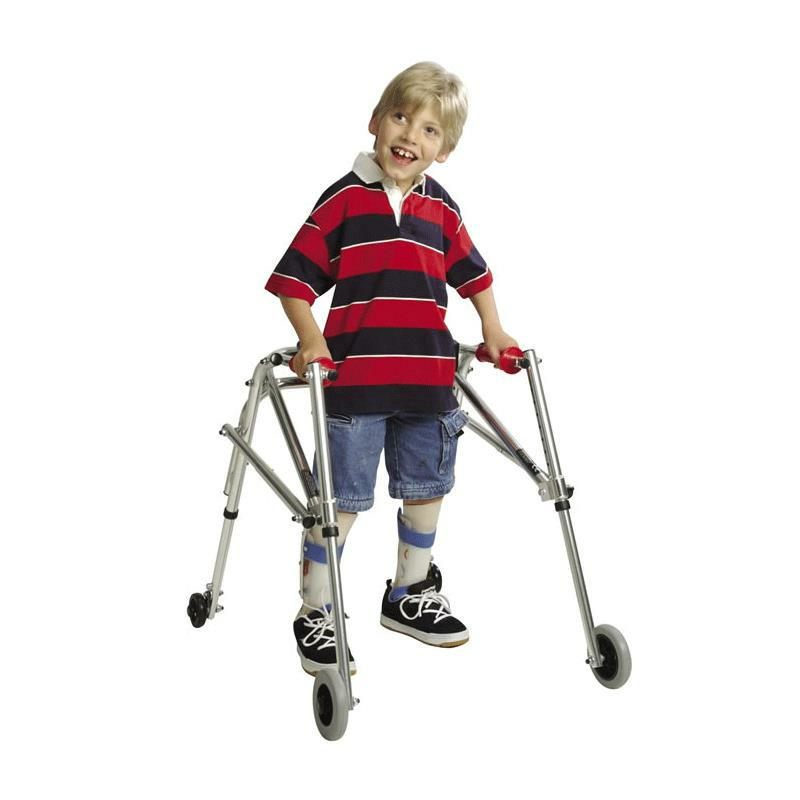 Equipped with one-way ratchet rear wheels to help prevent the walker from rolling backward and away from the user. Buy this product and earn 13.48 Reward Dollars. Height to top of handle (Floor to Mid-buttocks) 23" to 30.5"